For the latest on the newest arrivals and gift ideas to screen printing and embroidery tips & tricks. Just because the summer season is almost over, doesn’t mean we have to put away our dresses! At NYFifth, we offer a wide variety of casual dresses that can be worn this Fall season! We’ve got great ladies’ dresses from popular brands like America Apparel, Bella + Canvas and more! Dress it up with jewelry, a cardigan or jacket, or even stockings and leggings to keep yourself warm throughout the Fall season. If you haven’t heard, Alternative is becoming a forefront for eco-apparel! Most of their apparel (including dresses), are made from sustainable and eco-friendly material. Plus, they’re extremely comfortable to wear and are fashion forward, as they pay close attention to what’s trending and soon-to-be trends. American Apparel produces some of the best effortless basics and iconic fashion favorites for women, men, children, and even pets! Their dresses are classic and timeless, and they can be worn almost any season. Bella + Canvas provides a fresh outlook on basic blank apparel! They provide great fits for women and men and create quality product that your body will love. 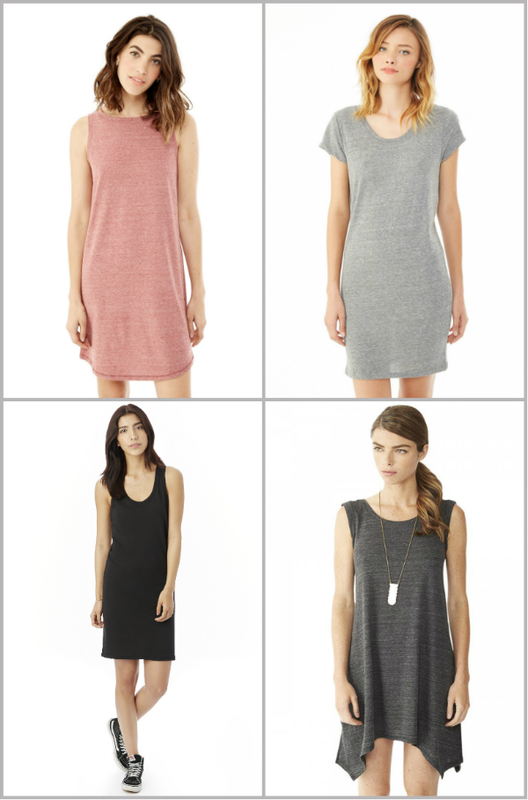 Bella + Canvas’ dresses are a must-have when it come to creating your Fall wardrobe this year. They offer a wide variety of styles that will flatter and compliment any body type. Which dress will you be wearing this Fall? Let us know by commenting below! Under Armour VS Nike – Which is Better?